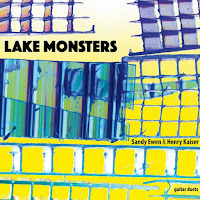 Canadian, Houston-based experimental guitarist-visual artist-architect Sandy Ewen planned to focus this year on music, already released four new albums playing solo and in collaboration with others. 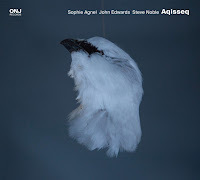 Ewen is known from her collaborative work with double bass player Damon Smith and drummer Weasel Walter. She plays the guitar flat on on her lap and her approach is centered around found objects and extended guitar techniques. 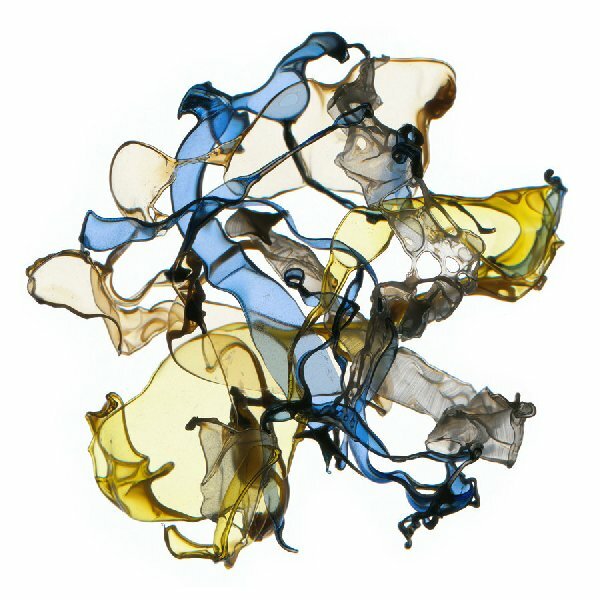 Ewen sees herself as guiding materials and space rather than executing a preconceived composition. “I like to explore mediums and materials and tease out their essence”, she says. Ewen has collaborated closely with double bass player and Balance Point Acoustics label founder Smith since his arrival in Houston in 201o. They recorded a duo album, Background Information (BPA, 2013), and Smith introduced her to avant-guitarist Henry Kaiser, worked together in an ad-hoc quartet with Dutch vocal artist Jaap Blonk, and played in a trio with Smith punk-jazz drummer Walter, that released its debut album, Untitled, on Walter's label (ugEXPLODE, 2012). Ewen continues to collaborate with Walter in a trio with vocalist Lydia Lunch. 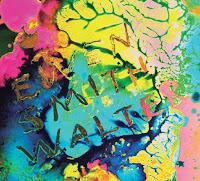 Live in Texas offers seven hyperactive and urgent improvisations of the reunited trio of Ewen, Smith and Walter, three were recorded recorded in Austin at the NMASS festival in 2014 and the other four in two venues in Houston - Cactus Records and Avant Garden - with no mention of the time of the latter recordings. This is a hard-working trio, busy searching for uncharted, alien terrains, exploring intense dynamics and then deconstructing its them with sheer brutal force, melting their sound universe into a buzzing, explosive unity and always opts for abstract, structural disruption. 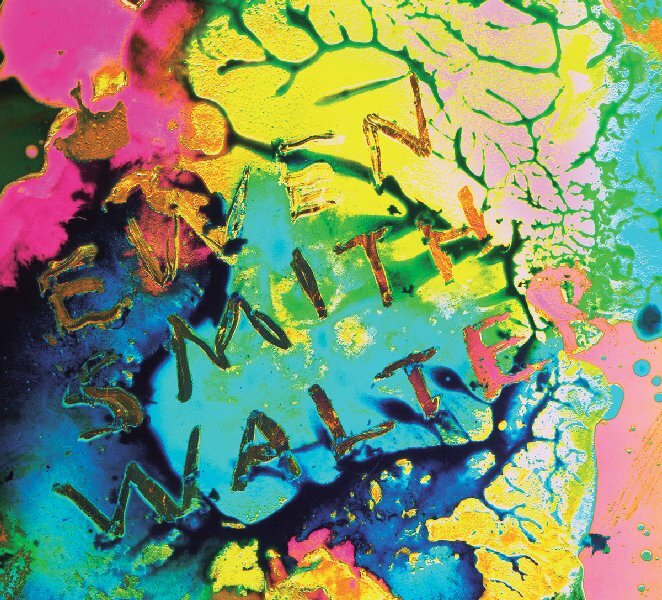 Kaiser wrote the sleeve notes for the debut album of Ewen, Smith and Walter, advising the trio to "forget about melody, harmony and rhythm for the moment and listen to everything else that you can hear going on." 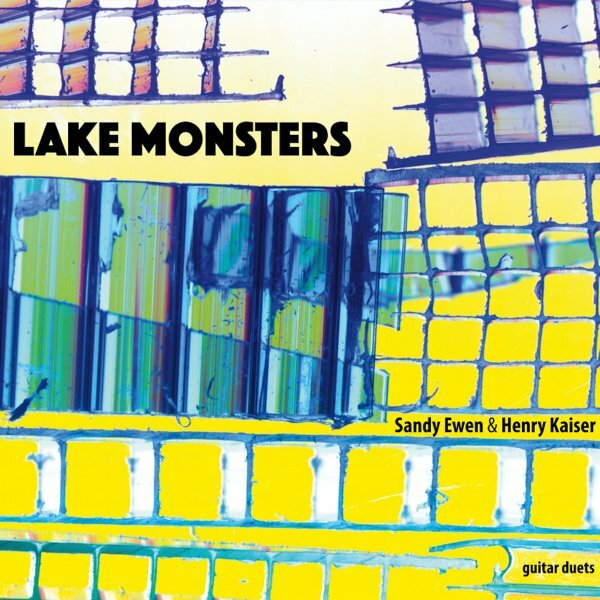 Same advice can be applied to this live recording of Kaiser and Ewen, part of a six-hour marathon of Kaiser from December 2013 in Houston that produced two other releases for the Balance Point Acoustics label. Ewen plays here the electric guitar while Kaiser alternates between electric and acoustic guitars. Ewen plays the guitar flat on her lap, her legs are involved, move and knock the instrument around with refined small gestures and full scale violence. Kaiser alternates between playing standing or in a seated manner, allows for chance within his pedal board. Ewen, the architect, explores nuanced textures while Kaiser, a a research diver in Antarctica, always searches for new sound universes, alien and strange as they may sound. Both playing is quite physical and anything but obvious, but Kaiser, the more experienced and stronger - literally - improviser (he trains in martial arts), is also a much stronger musical personality. His vocabulary references elements from psychedelic rock - as one who is proficient in the Grateful Dead legacy, the history of jazz, different folk and world music traditions and of course free improvised music. But here Kaiser opts to explore together with Ewen otherworldly, sound-based textures and spice these free-formed textures with light, rhythmic ingredients. 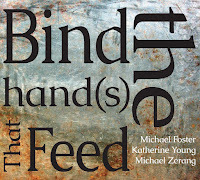 This modest and inclusive approach enriches Ewen playing and charges these duets with fresh tension. 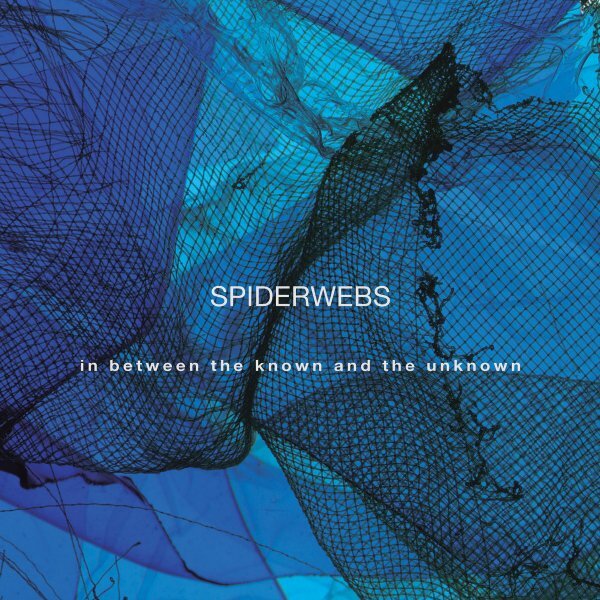 Spiderwebs began is a duo of Ewen and New York-based guitarist Tom Carter, known for his work with acid-folk improvisers Charalambides and in a duo with No Neck Blues Band co-founder Pat Murano. Ewen and Carter began performing in 2003 and already recorded two albums, now augmented by a third guitarist, Houston-based Ryan Edwards, often the sound engineer of Ewen recordings. Carter and Edwards both draw heavily from psych-rock and drone, while Ewen’s playing is more texture-based. The first three pieces are duo improvisations. Carter and Edwards begin with “Inform the Atmosphere”, a psychedelic, feedback and fuzz-laden drone. 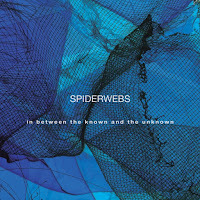 Ewen and Edwards continue with “We Were Isolated”, a more spiky and confrontial duet, where both guitarist explore extended techniques through hazy and noisy texture. Ewen and Carter reunite for “The Most Obvious Choice”, an abstract, open-ended texture, that flirts with noise and atmospheric drone. All three guitarists play on the last, the 33-minutes haunting improvisation of “A Happy Conjunction of Conditions and Events” אישא closes this journey with a slow, deep dive into psychedelic, topographic oceans. 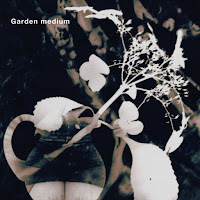 Garden medium is the trio of Ewen on guitar and objects, Rebecca Novak on cornet, autoharp, shortwave radio, glassware and chimes and Carol Sandin Cooley on electronics and objects, as well as the self-titled album of this trio. Cooley is a veteran of the Houston noise scene, performing in such groups as Rotten Piece, Illicit Relationship, Painful Vigil, Black Leather Jesus and many more. Novak’s sound is rooted in her classical music upbringing. The trio offers a broad and often quite chaotic and abstract sonic spectrum. 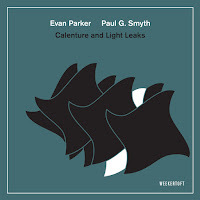 The patient and emphatic, sound-based interplay follows Ewen ideas sketched on the prepared guitar, suggesting odd and loose structures for the eight spontaneous, slow-cooking improvisations. Novak charges these suggestive textures with fleeting melodic veins, while Cooley and Ewen inject eclectic, alien sounds that intensify the intriguing atmospheres. The last improvisations, “Crassula Muscosa” and “Bald Cypress”, brings this collective improvised process to its most fiery-noisy climax. Now the trio interplay sounds almost joyful in its own weird way. Tributaries is Ewen’s first solo endeavor, originally issued as a digital download code on an art print in 2013, now presented for the first time on a disc with expanded artwork. This album offers Ewen highly personal playing approach with found objects and extended guitar techniques. 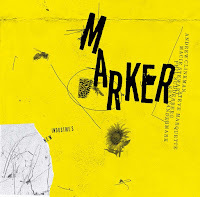 She patiently and methodically investigates the sonic spectrum of the guitar as a kind of a mad scientist that explores a noisy object from outer space, and out of these searches sketches nuanced textures. 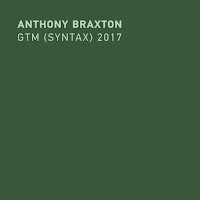 The six improvisations echo and resonate sounds of a guitar and its metallic strings colorful atmospheres, overtones and feedbacks, but more as an instrument that is mutated, manipulated and recreated anew. My 2013 interview with Sandy is here.